The non-profit group Barefoot Is Legal is encouraging Americans to go out in public barefoot this weekend and take a photo for its 'I Did It Barefoot' challenge. It all comes down to standing up for their freedom. The protagonists in this tale are tens of thousands of people who’d like to go anywhere they want without shoes on their feet. Their antagonists? Strangers who gaze upon them with bewildered looks and send dismissive comments their way just for being themselves. The group – which boasts of some 70,000 members from sea to shining sea and beyond – will set out to “take a selfie and/or a 60-second video” of themselves in stores sans shoes. It is their firm belief that common misconceptions about the public-health impact, and legality, of doing so should be stomped out by the truth. While some people maintain that bare feet are nothing but germ and bacteria magnets, Barefooters have been pushing back against those “myths” through Facebook groups, science and witty memes that catch attention on Twitter. BiL’s advocacy push includes links to proof that going barefoot in restaurants, or while driving, is not against the law as people mistakenly believe. That’s the case in Pennsylvania. “The Model Food Code, which is incorporated into the commonwealth’s regulations governing retail food facilities, does not address customer attire,” said Casey Smith, communications director for the Department of Agriculture, who deferred to the Philadelphia Health Department on potential local ordinances. In Philadelphia's Food Establishment Regulations, the word "hands" appears 38 times while "feet" and "shoes" show up a grand total of zero times. But that fact doesn't have an impact on whether eateries have policies governing footwear for employees or customers. From a scientific perspective, the Barefooters' stance isn’t as crazy as it might initially seem. Dr. James Christina, a Bethesda, Maryland-based podiatrist, is the executive director of the American Podiatric Medical Association. “I don’t think that’s really the issue,” said Christina, who urged people with diabetes or circulation problems away from following suit. “It’s more about the risk to the person walking barefoot and liability for the establishments. 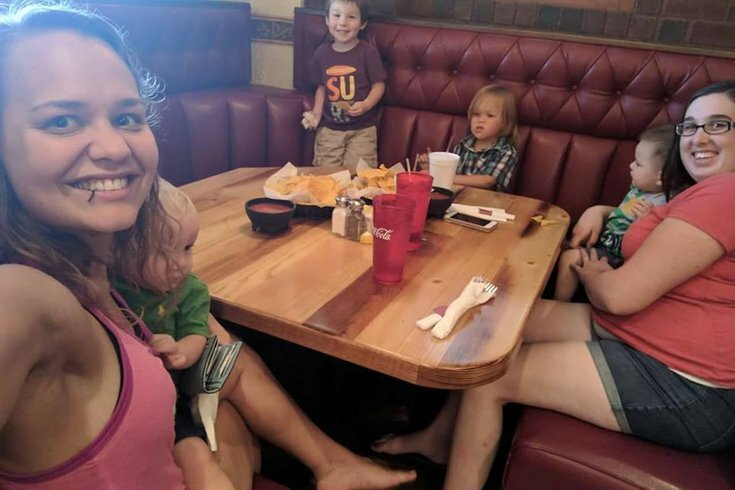 When it comes to businesses and restaurants, policies can restrict patrons from entering barefoot and seeing variations of the "No Shoes, No Service" sign. BiL folks are armed to push back against claims of illegality, though. According to BiL founder Dave Kelman, some companies have seen the light. 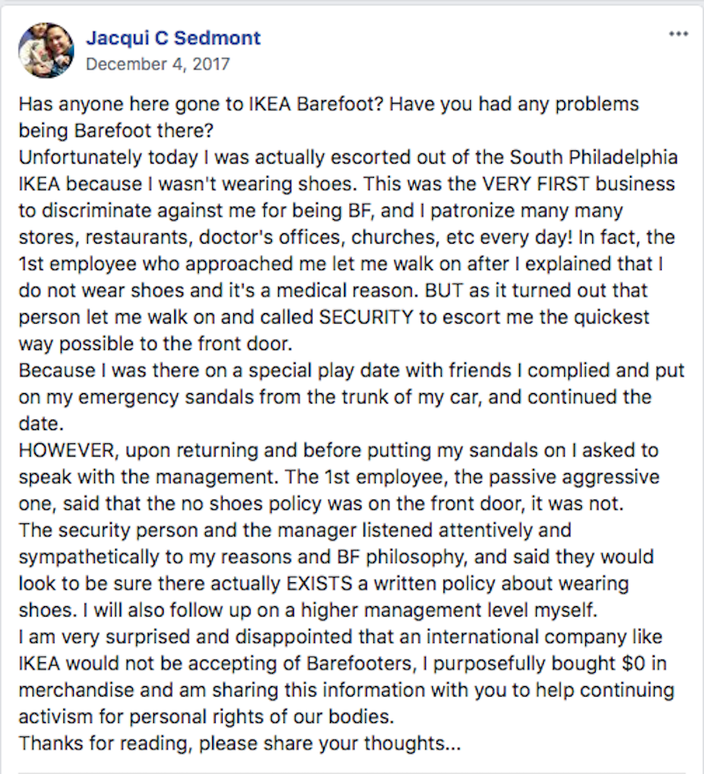 That includes IKEA, which was the focus of a local complaint on the Facebook page of another barefoot group, Society for Barefoot Living. 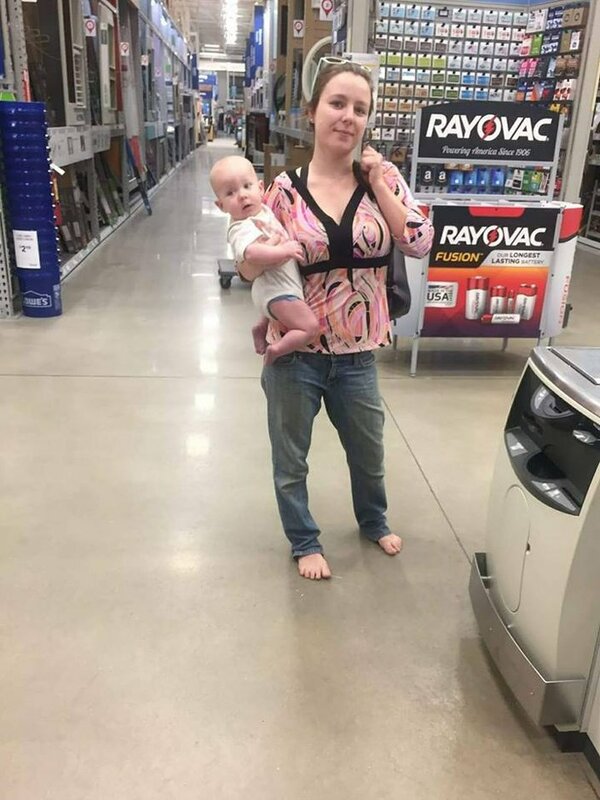 A local IKEA location was cited on a pro-barefoot group's Facebook page in December 2017. 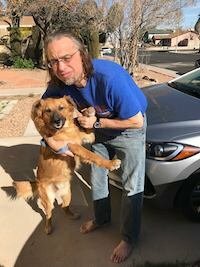 “I’ve actually been in touch with IKEA’s corporate offices and they said ‘Go right ahead.’ I have a letter from corporate to that effect,” said Kelman, a Long Island, N.Y., native who now lives in Las Vegas, where he works with Freedomizer Radio. What BiL does to help members avoid such situations is research laws from various states, and provide letters from various companies, which contradict those assertions. 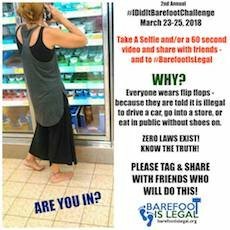 The 'I Did It Barefoot' Challenge starts Friday, March 23, 2018. They also give members ID cards, complete with a head-to-exposed-toes photo taken in a store, and QR codes. He said he’s heard of police being called in some situations, which leads to the risk of arrest should the situation escalate. Kelman was first drawn to the “movement” from his time as a room-service waiter in Las Vegas decades ago. He said he dropped scalding hot water, which got trapped in his Doc Marten boots. Between the burns and staph infection, he spent 13 days in the hospital. The passing years transforming his personal choice to spurn shoes into advocacy. He scoffs at those who scoff at him and his like-minded friends. He recounted a story of a Baskin Robbins in Jacksonville, Florida. Another time, he said, he went to a Daytona Beach post office and was told he had to leave and come back with footwear. They were concerned he might drop something on his foot while he was merely buying stamps. His isn’t the only pro-barefoot group out there, but he said it’s the only one “actively pushing for people’s rights." Despite his attempts to track someone down for this story, there doesn’t seem to be a Philadelphia-area barefoot activist with ties to the group. BiL member Bonnie Alf Baxter did recall visiting her sister in Philadelphia as a teenager, though. “When I was 14 and visiting, I was barefoot out and about near her neighborhood. She lived on East Passyunk Avenue at one time. With no shoes, looking scared and running a bit, the police picked me up and took me back to her apartment,” she said. “All was well. There were no questions on my feet and only one comment on the street from a gentleman wearing a skirt: ‘See she doesn’t wear shoes with her skirt either!’"
Kelman, fellow BiL official Nick Deutschmann and several group members said they just want to be left alone to wear what they want on their feet, even when that’s nothing. He said the pushback comes from people who've spent their entire lives hearing parents say "they have to have shoes on their entire lives." That's a hard habit – and mental take – to break. They’re more than happy to delve into a discussion about how handling money and turning doorknobs spreads more germs via hands than walking barefoot spread from feet. “We want our freedom to go out barefoot without getting that tap on the shoulder, mocked or ridiculed,” Kelman said. “It’s funny that people wearing flip flops are laughing at you for not wearing shoes ... whenever you ask someone why they’re wearing flip flops, it’s because they hate wearing shoes. With most businesses concerned about liability and insurance ramifications of customers getting injured, BiL's leadership gets a kick out of the fact that Gusto, a billion-dollar small business-insurance company requires its employees to remove their shoes when they get to work. Deutschmann traced his barefoot advocacy back to the AOL internet days when the Dirty Sole Society got a spot on the ABC News with Diane Sawyer. He found that being barefoot helped with his balance in taekwondo. “I always had a general distaste for footwear, but society said I had to have shoes on, so I had to oblige,” said Deutschmann. The Minneapolis resident doesn’t hold a grudge against Eagles fans said to throw beer cans at Vikings fans before the NFC Championship Game in January, by the way. “On Super Bowl Sunday, the high temperature was, what, two below? You’re not catching me barefoot outside in that, but inside, you’re fine,” he said, noting that he takes barefoot walks in the Minneapolis Skyway. “I mainly get bewildered looks, WTF is that all about looks. But as the weather changes, it changes the reactions of people. Kelman, who is behind the memes that the group uses to both attract interest and fend off trolls, does have a dream of sorts. "I'd like to see a day where the average person can go someplace and be treated like a normal human being if they're not wearing shoes," Kelman declared from the proverbial pulpit. As for this weekend's "I Did It Barefoot Challenge," BiL invites Philadelphians to participate, or give the barefoot life a try sometime. "For the first timers trying out their new freedom, go someplace easy," he recommended. "Perhaps the post office, a to-go pizza place or sandwich shop. Someplace where everyone is in and out within a couple minutes."